lovelymissjones.com is a blog that encourages, inspires, and motivates others through experience. We intend to create change in the lives of others by sharing our story. Through our personal life experiences, fashion, music, poetry, books, and events, we plan to reach and relate to others during life’s journey. Anything that Lovely Miss Jones produces or promotes, is in order to benefit someone else. Years after discovering her love and passion for writing, Krystle began blogging. Without knowing much at all about this process, she knew she had to take that leap of faith and share with the world the very thing that has gotten her through. At a point in her life, writing was her biggest form of communication. During her challenging college experience, writing became apart of her normal routine. Krystle often took to writing when she became overwhelmed with life’s difficulties. After starting the book that she plans to continue, she realized blogging was a better way to reach people immediately. Krystle realized she could take advantage of the platform that was right in front of her. Participating in the social media movement, why not use it as an outlet to create positive change in someone’s life. Helping others to strive for success and greatness has always been a passion of hers, but took her some time to figure out how she could be more effective in doing so. However, as time progressed, she found her niche and has been dedicated in fulfilling her goal ever since. 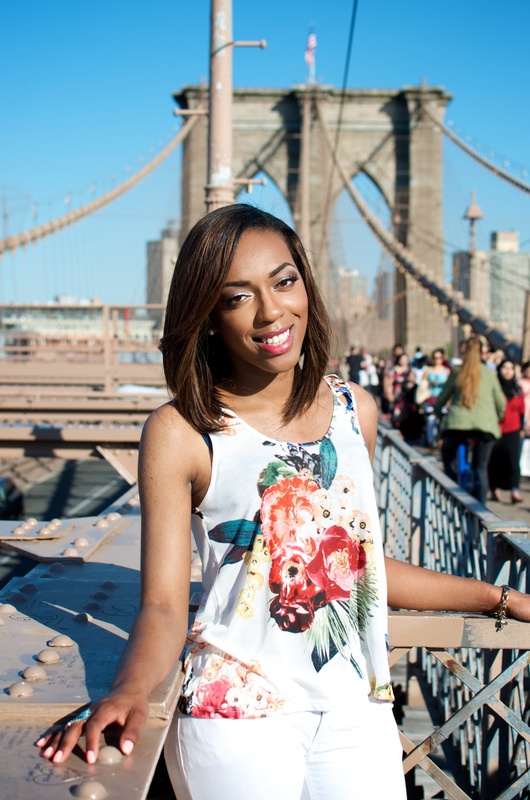 In 2015, Krystle started the Lovely Miss Jones Scholarship Fund. She hosts an event annually and raises money to award college students. Knowing the challenges with college tuition and finances, she wanted to help alleviate the financial strain for current college students. In January of 2017, Krystle became the CEO of Lovely Miss Jones, LLC. Lovely Miss Jones, LLC is an organization that prides itself in encouraging, inspiring, and motivating others towards positive change. We do so through our blog, sharing relevant stories, events, LMJ Scholarship Fund, workshops, and seminars in order to reach people just like us. Those who have experienced struggle and wish to live to their full potential and succeed. We aspire to be that resource and tool that connects others to a bright future. Reaching your goals aren’t impossible. Krystle is currently a Health and Wellness Blogger for Everything Girls Love(Everythinggl.com), as well as a Host and Marketing Coordinator for Gifted and Uplifted (Urban Christian Talk Show). She has also been a contributing writer for many online publications; such as, Black City Girl (blackcitygirl.com), Ladies Who Hustle as a business success blogger (lwhnetwork.com), TNF Magazine (We Are Little Miss Creative), Kreate Your Diva (kreateyourdiva.com), Go Tell It Daily News Magazine, and Brown Girl Bloggers (browngirlbloggers.com). Krystle has had the opportunity of being interviewed by Life Coach Dhylles Davis on her website, Born an Accomplishment (bornanaccomplishment.wordpress.com). She has also been interviewed by Dr. Fay Butler on air for her Top Of The Morning Radio Show. Which can be found on blogtalkradio.com. Stay tuned for more as Krystle sets out to use the gift that was given to her to reach and help change the lives of others.